So I have been waiting for the opportunity to head into Sephora to buy a couple of Soap & Glory products. I have been hearing great reviews about this line of body care products online, and I was so excited to pick up my first few items yesterday. I was even equally more excited to try out every single product last night, and all I can say is AMAZING!!!! There wasn’t a single product that I wasn’t in love with as soon as I put it on my skin. 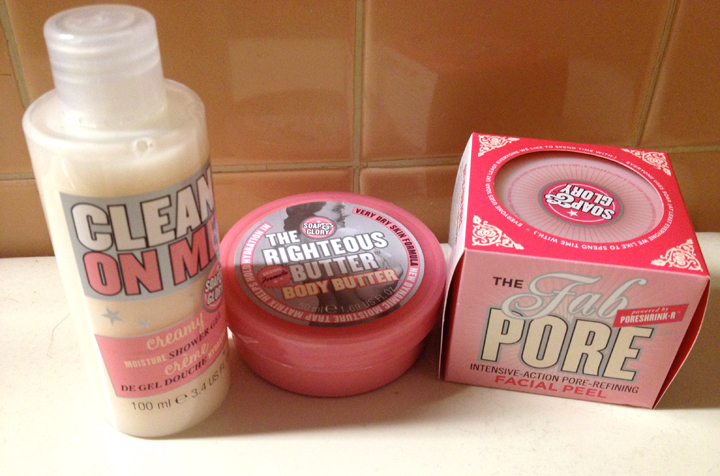 I purchased the “Clean on Me” creamy moisturizing shower gel, the “Righteous Butter” body butter, and the “Fab Pore” intensive-action pore-refining facial peel. Check out my review of these products below, and leave me comments if you love these products as much as me. The Righteous Butter Body Butter- This was the first product I picked up yesterday, because I have been looking for a really good body butter that actually does what it says it’s supposed to do. The sales girl at Sephora raved about this product, also confirming that the product is tried and true! This formula is the one geared toward really dry skin, and with the winter months still ever present in Ohio, I am in desperate need of a moisturizing body butter for my skin. The scent of this product is something I can’t even describe, because I have never smelled something like it. 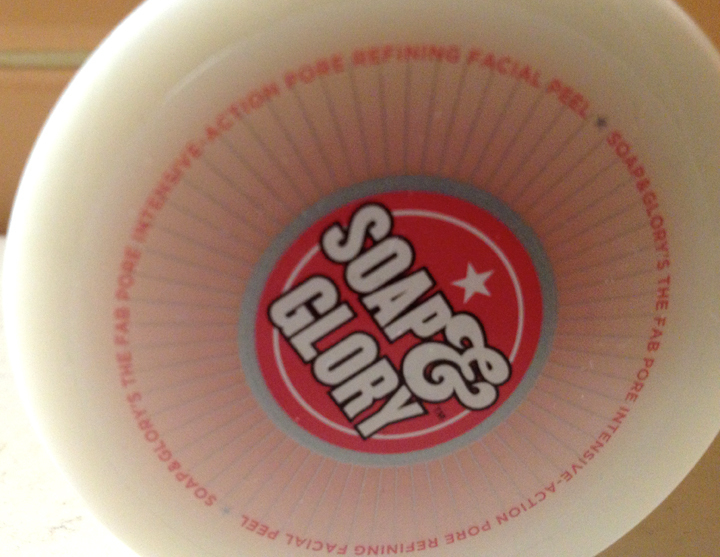 All I can say is that it smells fresh and clean, along the same lines as the shower gel. 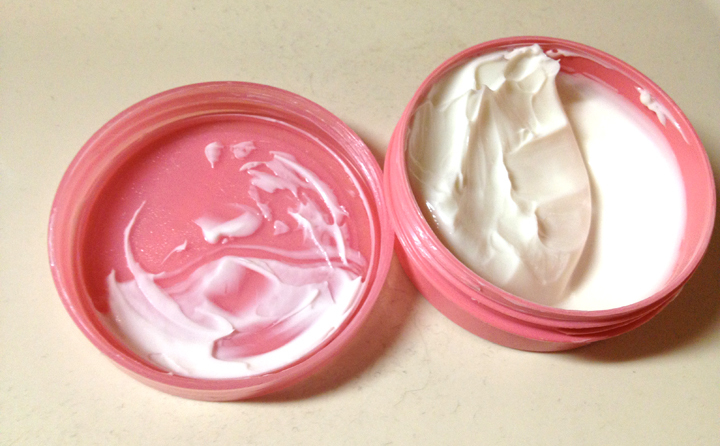 It comes in a cute, round, pink container and the formula is a white creamy consistency that has a little bit of a cooling effect on the skin. What I loved the most was that I noticed that my legs still felt super moisturized hours after my shower! And the packaging is so adorable and to die for! I love the 40’s vintage look on packaging, and I think that is one huge reason I was so attracted to these products right away. I also purchased this product in the travel size to try it out (I highly recommend doing this if you just want to try out the product, because it is significantly cheaper than the full size product aka $5). 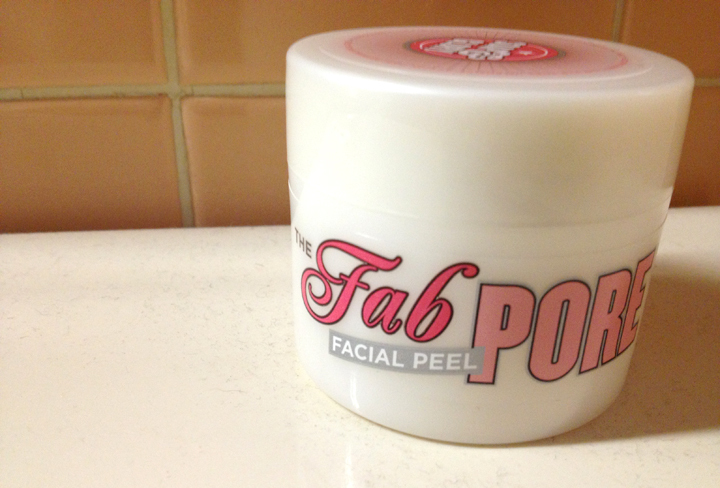 The Fab Pore Intensive-Action Pore-Refining Facial Peel-The Sephora girl totally convinced me to get this product, so this was my bigger impulse buy of the day. I was still using the sample of the Origin charcoal facial mask I got last time from Sephora, and I wasn’t super impressed so I wanted to give this product a go. 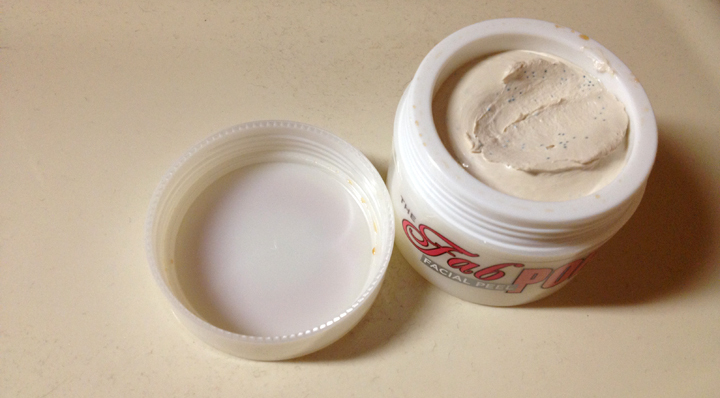 this mask is supposed to take all of the impurity’s out of your face that collect over time. I would almost compare this to putting on vix nighttime cream to help you breathe when your sick accept that it isn’t as gross or thick on the skin, but the minty smell is almost identical but not as powerful or burning lol. The formula starts out with these moisturizing beads that are supposed to dissolve as your rub it into your skin. It definitely goes on thick like a facial mask, and is a formula that is meant to be left on for a brief period of time. I left mine on for the instructed 15 minutes for a “deep” cleansing treatment, but the instructions also recommend that you keep it on for 5 minutes just for a touch-up treatments. This product is only meant to be used 2-3 times a week, but I will probably limit it to 2 because of how dry my skin is in the wintertime. What I loved the most was that, unlike the charcoal mask, when I removed the mask my skin didn’t feel tight and dried out. Instead I felt that it retained all of the moisture and brightened my face up significantly. I was very pleased with the results of this after the first use, and I will let you guys know if I continues to improve my skin over time. AND COME ON… WHO CAN’T RESIST THIS ADORABLE PACKAGING?!!!!!!! Thank you guys for checking my blog out today. If you liked reading this post and want to read more like it, please become a follower of MyFairDaily! You can also find my blog on facebook, twitter, my YouTube channel, Instagram, and Pinterest. You can also check out my full profile with all of my posts on my google+ account. Please leave me comments below about this post, and if you want me to check out any more products in this awesome body care line!